Today in Masonic history James Edmund Bailey was born in 1822. In 1853 Bailey was elected to the Tennessee House of Representatives as a Whig. During the Civil War he served in the 49th Tennessee as a Colonel. He was appointed by then governor of Tennessee John C. Brown to the Court of Arbitration in 1874. 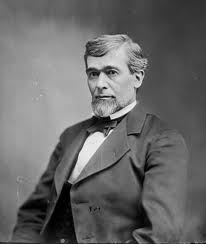 He was elected by the Tennesse General Assembly as a Democrat to the balance of the unexpired term of the late Andrew Johnson, serving from January 19, 1877 to March 4, 1881. In the 46th Congress he was chairman of the Senate Committee on Education and Labor. Bailey was a member of Clarksville Lodge No. 89, Clarksville, Tennessee.